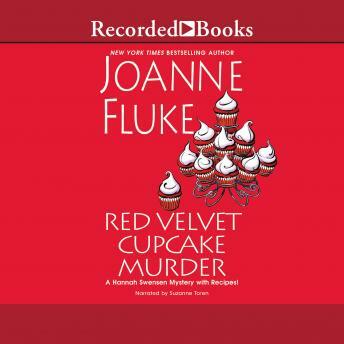 New York Times best-selling author Joanne Fluke's cozy mysteries grow in popularity with each new series entry. One summer in Lake Eden, Minnesota, Hannah Swensen attends the grand opening of a newly refurbished hotel, where her famous red velvet cupcakes will be served in the new Red Velvet lounge. But when a party guest falls from the hotel roof, festivities come to a screeching halt-and Hannah becomes the surprising target of a murder investigation. I really liked the story. I'm a big fan of Joanne Fluke. The narrator was really not my cup of tea. I found it very difficult to get through the story.